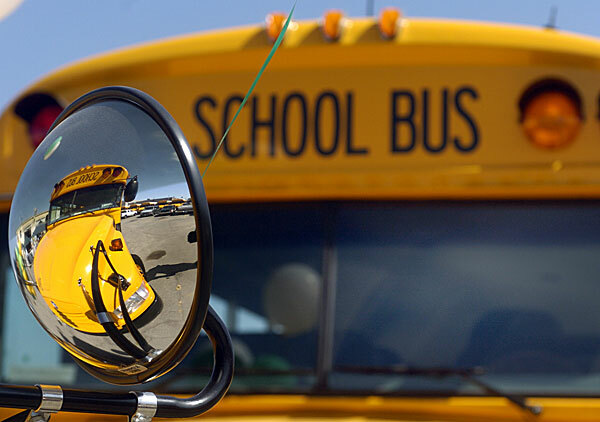 Safe Rides for School Districts | Thermal Technology Services Inc. Normally a school bus brake is changed anywhere from 8 months to 13 months, the variability coming, not from the miles driven, but the number of stops on the route. Thermal Processed drums will last up to three years on these same buses with the “normal” 8 to 13 month rotation. We have processed brakes, in surrounding counties, from Sarasota, to Hillsborough, Bartow, and Pasco counties. On their first set of processed brakes we suggest they inspect those brakes at fourteen to fifteen thousand miles to see how they are doing. Invariably, they see virtually no wear. We are also processing bus brakes for Michigan. To date we have our brakes on 15 buses and another 15 people-mover vans. Because of the success on these vehicles we have commitments from other major cities including Grand Rapids, Lansing, Calamazoo, Flint, Lapeer, and Detroit. Transit buses here in Pinellas County travel 300 miles in their 22 hour workday. How much will they save when using Thermally Processed brakes? How much do we guarantee? It is difficult to state the number of additional miles a bus will go with thermally treated brakes as it depends on the amount of stopping. We will guarantee that whatever you are getting, it will last twice as long, at a minimum. So if you are getting 7000 miles, you will get over 14,000. If you are getting 40,000 you will get 80,000, and so on. That is our guarantee. Those in charge of school bus maintenance are very receptive to Thermally Recycled Brakes and the savings to their districts. 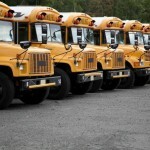 Often the school bus program is the first to be impacted with budget cuts. In many cases they are already undermanned and do not have the option to raise their fares! Thermal Cycling makes another important contribution to brake performance — safety. The driver hits the brakes quickly to avoid a car turning into his or her lane. With a Thermally Processed brake the chances for swerve and skit are greatly reduced. Off-the-shelf mass produced brakes have flaws and imperfections at the molecular level that limit the degree of stress the brake can absorb. The more flaws and imperfections the more swerve and skid the drive may experience. The molecular reorganization that occurs in the Thermal Cycled brake makes the metal denser and tighter and able to withstand greater levels of stress. Heat can be more evenly dissipated so the brake will cool faster, reducing fatigue, cracking and warping. Cost savings, performance and safety, all good reasons to choose the patented Thermal Cycled brakes.